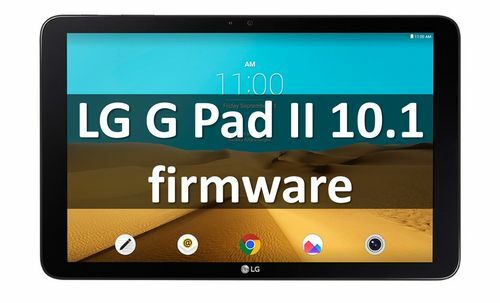 In this article we want to tell you about upgraded LG G Pad II 10.1 and firmware for it. As you may know, the series of tablets LG G Pad II consists of several models. LG G Pad II 10.1 has the bigger diagonal of them. The tablet was presented at MWC 2015. Although it's been 2 years already, LG G Pad II is still a good tablet. It comes with 10-inch display and Full HD resolution, 2GB of RAM, Snapdragon 800 processor, and 7400 mAh battery. The device is equipped with preinstalled software Microsoft Office for Android Tablet. Also, you should know that LG G Pad II 10.1 runs on Android 5.1 Marshmallow. So, we reached the most interesting part - LG G Pad II 10.1 firmware. Use the link below to find out all available versions of firmware for this tablet. You should download the firmware for your region and tablet model. By the way, the latest LG G Pad II 10.1 firmware was released in June, 2017. Also, we recommend to read tutorial how to install .kdz files. It can be useful if you install firmware for thr first time. Hope my article was helpful for you. If you have any questions about LG G Pad II 10.1 firmware, leave the comment below.